Can you solve this Malayalam WhatsApp Question ? 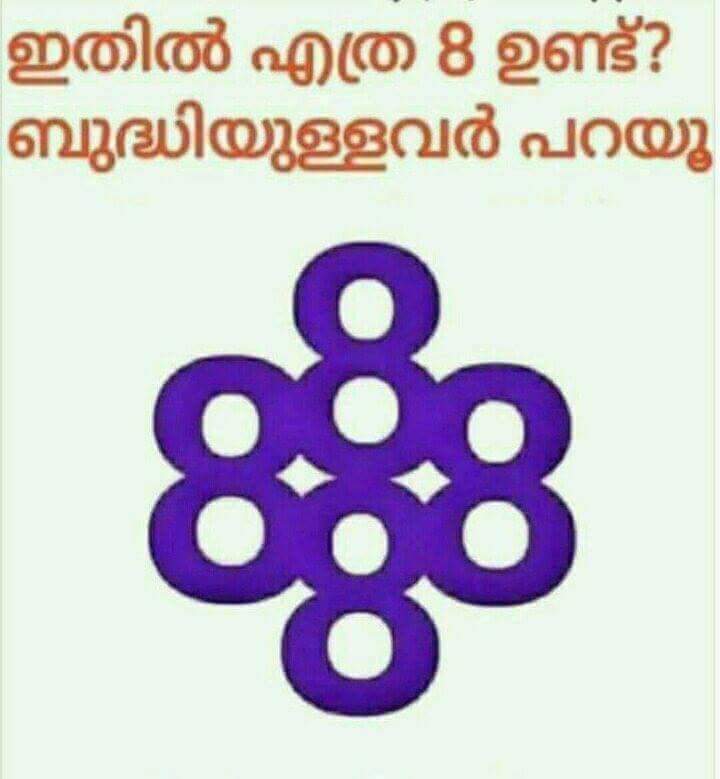 "Ithil etra 8 und? Budhiyullavar parayu"
Hint: Look vertically and horizontally. Comment your answer below and check for the right answer in the bottom section.